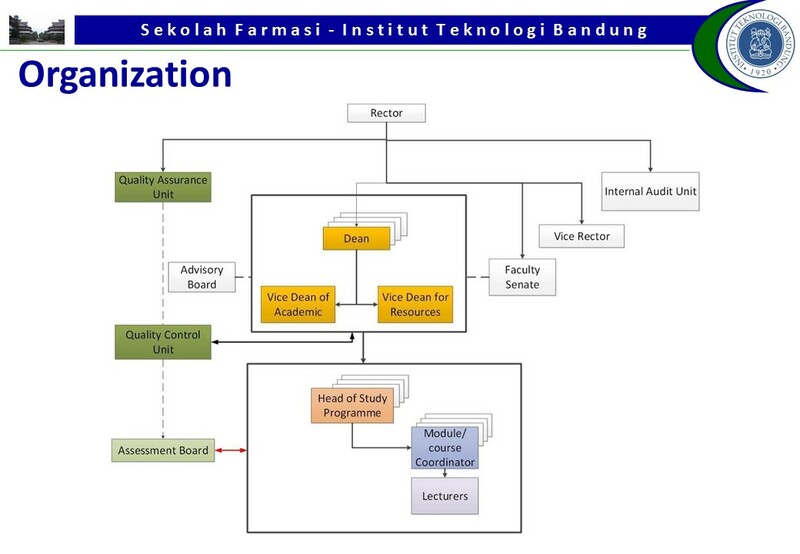 Irda Fidrianny, Prof., Dr., Apt. Elin Yulinah Sukandar, Irda Fidrianny, Annisa Kamil. In situ antibacterial activity of Kaempferia pandurata (Roxb.) Rhizomes against Staphylococcus aureus. Int. J. Pharm Pharm Sci 2015; 7(2): 239-244. 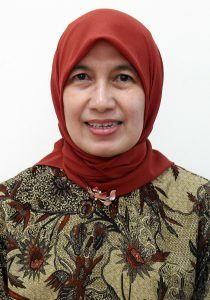 Ummi Rokayah, Irda Fidrianny, Komar Ruslan W. Method Development for Simultaneous Analysis of Marker Scopoletine, Andrographolide, Quercetin, and Luteolin in Antihypertension Jamu Formulation using RP-HPLC. Int. J. Pharm Pharm Sci 2015; 7(3): 332-336. Irda Fidrianny, Asih Sukowati, Sukrasno. In Vitro Antioxidant Activities of Various Leaves Extracts from Five Varieties of Rambutan (Nephelium Lappaceum) and It’s Correlation with Total Flavonoid, Phenolic, Carotenoid Content. Asian J. Pharm Clin Res 2015; 8(2): 139-143. Irda Fidrianny, Evelyne Nadia, Komar Ruslan W. In Vitro Antioxidant Activities, Total Flavonoid, Phenolic and Carotenoid Content From Various Extracts of Four Species Asteraceae Herb. Int. J. Pharm Pharm Sci 2015; 7(4): 192-197. Irda Fidrianny, Putri Indah Sari, Komar Ruslan. Antioxidant Activities in Various Peel Extracts of Four Varieties Rambutan (Nephelium lappaceum) Using DPPH, FRAP Assyas, Int J. Pharmacog Phytochem Res 2015; 7(2): 280-285. Irda Fidrianny, Hadianti Nurfitri, Sukrasno. In vitro Antioxidant Activities, Phenolic, Flavonoid, and Carotenoid Content from Different Polarity Extracts of Five Citrus Peels using DPPH and CUPRAC method. J. Chem Pharm Res 2015; 7(4): 1525-1531. Irda Fidrianny, Atina Rizkiya, Komar Ruslan. Antioxidant Activities of Various Fruit Extracts from Three Solanum sp. using DPPH and ABTS Method and Correlation with Phenolic, Flavonoid and Carotenoid Content. J. Chem Pharm Res 2015; 7(5): 666-672. Irda Fidrianny, Dian Ayu, Rika Hartati. Antioxidant Capacities, Phenolic, Flavonoid and Carotenoid Content of Various Polarities Extracts from Three Organs of Sechium edule (Jacq.) Swartz. J. Chem Pharm Res 2015; 7(5): 914-920. Irda Fidrianny, Esther Sefiany, Komar Ruslan. In-vitro Antioxidant Activities from Three Organs of White Ambon Banana (Musa AAA Group) and Flavonoid, Phenolic, Carotenoid Content. Int. J. Pharmacog Phytochem Res 2015; 7(3): 590-596. Irda Fidrianny, Tiara Aristya, Rika Hartati. Antioxidant Capacities of Various Leaves Extracts from Three Species of Legumes and Correlation with Total Flavonoid, Phenolic, Carotenoid Content. Int. J. Pharmacog Phytochem Res 2015; 7(3): 628-634. Irda Fidrianny, Yurika Johan, Sukrasno. Antioxidant Activities of Different Polarity Extracts from Three Organs of Makrut Lime (Citrus hystrix DC) and Correlation with Total Flavonoid, Phenolic, Carotenoid Content. Asian J. Pharm Clin Res 2015; 8(4): 239-243. Jessie S Pamudji, Tri Suciati, Lidia, Elin Yulinah S, Irda Fidrianny. Microemulsion formulation of Aloe vera gel and Apium graveolens ethanol extract for optimizing hair growth promotion. Asian J. Pharm Clin Res 2015; 8(4): 319-323. Rika Hartati, Asep Gana Suganda, Irda Fidrianny. Chemical Composition and Antimicrobial Activity of Diterpene and Essential Oils of Hedychium roxburghii Blume Rhizome. Asian J. Pharm Clin Res 2015; 8(5): 221-226. Irda Fidrianny, Wempi Budiana, Komar Ruslan. Antioxidant Activities of Various Extracts from Ardisia Sp Leaves Using DPPH and CUPRAC Assays and Correlation with Total Flavonoid, Phenolic, Carotenoid Content. Int. J. Pharmacog Phytochem Res 2015; 7(4): 41. Fajriaty, I., Ketut Adnyana, I., Fidrianny, I., 2014, “Acute and sub-chronic (28 days) repeated oral toxicity test of ethanol extract of lerak (sapindus rarak. DC) fruits in wistar rats”, International Journal of Pharmacy and Pharmaceutical Sciences ISSN- 0975-1491 Vol 6, Issue 11, 2014, pp.487-492. Fidrianny, I., Kiki Rizki, R., Insanu, M., 2014, “In vitro antioxidant activities from various extracts of banana peels using abts”, Int J Pharm Pharm Sci, Vol 6, Issue 11, 2014, pp. 422-426. Irda Fidrianny, Nadiya Sahar A, Komar Ruslan W, 2014, “Evaluation of antioxidant activities from various extracts of dragon fruit peels using DPPH, ABTS assays and correlation with phenolic, flavonoid, carotenoid content”, Int. J. of Res in Pharmaceutical Sciences, 5(2), 104-111. Fidrianny, I., Harnovi, M., Insanu, M., 2014, “Evaluation of antioxidant activities from various extracts of sweet orange peels using DPPH, FRAP assays and correlation with phenolic, flavonoid, carotenoid content”, Asian Journal of Pharmaceutical and Clinical Research, 7 (3), pp. 186-190. Fidrianny, I., Alvina, A., Sukrasno, 2014, “Antioxidant capacities from different polarities extractsof three kinds gingerusingdpph, frapassays andcorrelation with phenolic, flavonoid, carotenoid content”, International Journal of Pharmacy and Pharmaceutical Sciences, 6 (7), pp. 521-525. Fidrianny, I., Puspitasari, N., Marlia Singgih, W., 2014, “Antioxidant activities, Total flavonoid, Phenolic, Carotenoid of various shells extracts from four species of legumes”, Asian Journal of Pharmaceutical and Clinical Research, 7 (4), pp. 42-46. Hartati, R., Suganda, A.G., Fidrianny, I., Ginting, T.M., 2014, “Total flavonoid content and antimicrobial properties of four species of Zingiberaceae”, International Journal of Pharmacy and Pharmaceutical Sciences, 6 (7), pp. 142-144. Salasanti, C.D., Sukandar, E.Y., Fidrianny, I., 2014, “Acute and sub chronic toxicity study of ethanol extract of anredera cordifolia (Ten.) v. steenis leaves”, International Journal of Pharmacy and Pharmaceutical Sciences, 6 (5), pp. 348-352. Fidrianny, I., Utari, P., Komar Ruslan, W., 2014, “Evaluation of antioxidant capacities, flavonoid, phenolic, carotenoid content from various extracts of four kinds brassica herbs”, International Journal of Pharmacy and Pharmaceutical Sciences, 6 (2), pp. 268-272. Fidrianny, I., Darmawati, A., Sukrasno, 2014, “Antioxidant capacities from different polarities extracts of cucurbitaceae leaves using FRAP, DPPH assays and correlation with phenolic, flavonoid, carotenoid content”, International Journal of Pharmacy and Pharmaceutical Sciences, 6 (SUPPL. 2), pp. 858-862. Yulinah Sukandar, E., Sunderam, N., Fidrianny, I., 2013, “Activity of Kaempferia pandurata (Roxb.) rhizome ethanol extract against MRSA, MRCNS, MSSA, Bacillus subtilis and Salmonella typhi”, Pakistan Journal of Biological Sciences, 17 (1), pp. 49-55. Fidrianny, I., Permatasari, L., Wirasutisna, K.R., 2013, “Antioxidant activities from various bulbs extracts of three kinds allium using DPPH, ABTS assays and correlation with total phenolic, flavonoid, carotenoid content”, International Journal of Research in Pharmaceutical Sciences, 4 (3), pp. 438-444. Aprilia Wisnuwardhani, H., Fidrianny, I., Ibrahim, S., “Method development for simultaneous analysis of steroid and non steroid antiinflamatory substances in jamu pegal linu using TLC-pectrophotodensitometry”, 2013, International Journal of Pharmacy and Pharmaceutical Sciences, 5 (4), pp. 749-753. Yulinah Sukandar, E., Sunderam, N., Fidrianny, I., “Activity of Kaempferia pandurata (Roxb.) rhizome ethanol extract against MRSA, MRCNS, MSSA, Bacillus subtilis and Salmonella typhi”, 2013, Pakistan Journal of Biological Sciences, 17 (1), pp. 49-55. Amalia, L., Anggadiredja, K., Sukrasno, Fidrianny, I., Inggriani, R. 2012, “Antihypertensive potency of wild cosmos (cosmos caudatus kunth, asteraceae) leaf extract”, Journal of Pharmacology and Toxicology, 7 (8), pp. 359-368. Sukrasno, Kartika, Fidrianny, I., Elfahmi, Anam, K., 2012, “Influence of storage on the volatile oil content of Curcuma rhizome”, Research Journal of Medicinal Plant, 6 (3), pp. 274-280. Sukandar, E.Y., Fidrianny, I., Adiwibowo, L.F., 2011, “Efficacy of ethanol extract of anredera cordifolia (ten) steenis leaves on improving kidney failure in rats”, International Journal of Pharmacology, 7 (8), pp. 850-855. Irda F, IGNA Supradja, Andreanus A. S., “Analisis nikotin dalam beberapa organ mencit jantan yang telah menghirup asap rokok”, Majalah Farmasi Indonesia, 2004, 15(4), 207-210. Sukrasno, Irda F, Yoanne E N, “Pengaruh penyimpanan rimpang jahe terhadap kandungan dan kulaitas minyak jahe (Zingiber officinalis R Var. Amarum)”, Acta Pharmaceutica Indonesia, 2000, 25(3), 93-100. Mauludin, R, Sasanti Tarini D, I. Fidrianny, R. Rinaldi, Mouthwash formulation development of Piper betle extract and activity test against Streptococcus mutans, International Conference On Medicinal Plant, Surabaya, 21-22 July,2010. Marlia Singgih Wibowo, Irda Fidrianny, Novrita Lestia Utami, “ANTIMICROBIAL ACTIVITY OF ETHANOL EXTRACT OF INDONESIAN TEA LEAVES (Camellia sinensis L.) AGAINST Streptococcus mutalls ISOLATED FROM DENTAL CARIES PATIENTS”, 11th Government Food Analysts Conference, Melbourne, Australia, 22-24 Februari 2009. Kusnandar Anggadiredja, Irda Fidrianni, Akhmad Chairullatief, “STIMULANT EFFECT OF MYRISTICA FRAGRANS HOUTT. MACE FRACTION IN SWISS WEBSTER MICE”, International Herbal Conference 2009, Bangalore, India, 26-28 Februari 2009. Maria Immaculata Iwo, Irda Fidrianny and Gustilaya Riza, “Antioxidant Activity of Roselle (Hibiscus sabdariffa L.) Calyx Water Extract”, Bandung International Conference on Medicinal Chemistry 6-8 August 2009.